I listen to this when I drive to class in Washington DC where we talk about hot topics in PR. This podcast keeps me up to date with what's happening and offers some great insight. Recommended for public relations and marketing folks for sure!! I have been a listener since around Episode 100 (they’re now approaching show 800) and I can tell you it’s my must-listen-to podcast every week. I have used their insights in so many ways and can count on Shel and Neville to bring the absolute latest news and trends regarding PR and social media. I highly recommend FIR and the other shows in the FIR Network. As a student of public relations and communications at Southeastern University in Lakeland, FLorida, I greatly enjoyed listening to this podcast. This is my first time tuning in as a listener and it is safe to say it will not be the last time that I listen. I learned a great deal from this podcast from individuals that are in the heart of the corporate communications industry. In this episode, Neville Hobson was solo so I will need to listen again sometime when Shel Holtz as also on the show. I subscribe to so many podcasts that I am almost never able to listen to them all. But FIR is always top of my list and I rarley miss an episode. There is no one who knows online communications better than Shel & Neville and I have learned an immense amount of practical information from them over the past several years I have been listening. For communicators who want to learn how to operate in social media, this podcast is your road map. I thank the day that I found FIR a couple years ago when it bacame apparent to me I needed to figure out this social media thing. FIR is both primer and advanced studies for a PR professional like me. It remains a must-listen, even if I can't always get to the episodes in a timely fashion. My only criticism, as has been noted in other reviews, is the chatty and sometimes long-winded segments. I would also gladly forsake some of the production niceties and segment bumper/themes for the time for the time it would save. I value Shel and Neville's knowledge and insight, as well as that of many of their contributors. I wish the show didn't require two hours of my attention each week to get what they have to share. As a business communicator with traditional as well as social media responsibilities, I consider this podcast required listening to help me manage the swift evolution in our field. Any breaking news I hear on other podcasts has been discussed here first. It is strategic, practical, international and insightful, all delivered with a delightful sense of humor. Shel and Neville are highly acclaimed communicators, and they have assembled a team of top-notch regular contributors, complemented by regular comments from listeners around the world. It just keeps getting better and better. I never miss an episode, and I always take a useful nugget away. Give it a listen - you won't be sorry. Good content but long winded. The actual content of the podcast is good and worthwhile, but they are very long winded. They unnecessarily talk quite a bit about their logistics of making the show and have long segues between each section, which become obnoxious after a couple episodes. The show is normally about an hour long, but could easily be fit into 30 minutes if they don't ramble so much, shorten the segues and are more prepared with their agendas. I still listen, but find I fast forward through much of it. Shel and Neville consistently (twice weekly) put out an excellent hour long show that has firmly become part of my routine. 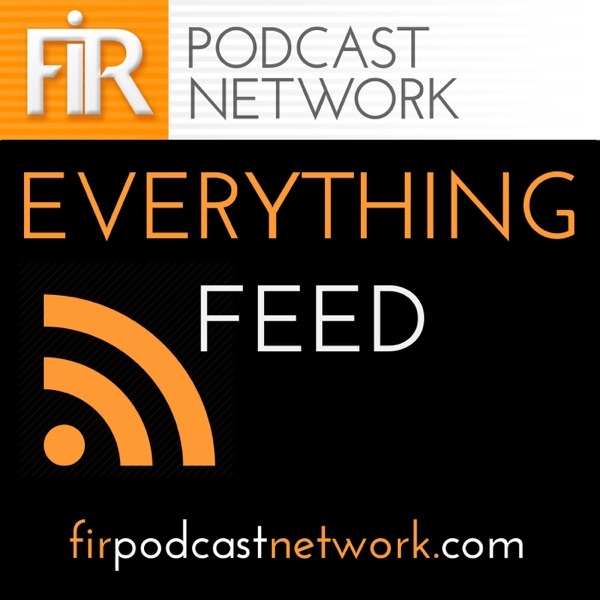 Intelligent discussion of current issues in the PR and social media space, solid interview subjects and a good mix of listeners' comments come together to form an essential podcast. One of the BEST podcasts on the net. I started listening years ago after a friend recommended FIR to me. I haven't missed an episode since I began listening. This entertaining hour long podcast makes my commute to office fly by. FIR is produced twice a week on Monday and Thursday. Shel and Neville put their heart and soul into this podcast and it shows. If you are interested in the world of PR and Communications - Here is your show. For a couple of guys who "wrote the book" on podcasting, this is a sad example of how to do it. The program is poorly organized -- almost as though it was thrown together on a cocktail napkin. I expect programs such as this to begin with the story that is most important to the largest audience segment, and then to proceed in order of declining importance. Instead, we get a long introduction as to where each of the hosts is, has been and will be, then we hear a long -- and often boring -- dialog from some remote stringer, etc., etc., etc. (For example, the report from the stringer in Singapore would not, for me, be the most important segment for an audience that is probably largely centered in the US and Great Britain.) The British host, Neville, seems to have the ability to take more time to say less than anybody I have heard. Yes, there is useful information on the program, and sometimes thought-provoking discussion, but the program could easily be done in 20 or 30 minutes and we'd all be ahead. I'm only thankful for the fact that my iPod has a fast forward button. Maybe I caught these guys on a bad day but I immediately UN-subscribed. Presentation and content extremely dry and production values lacking. For Christmas 2005 I was given my first iPod and soon after I discovered the world of podcasts. For Immediate Release was one of the first I loaded and I've been a loyal listener ever since. This is a must listen for any one in business interested in new technology and social media. I look forward to new episodes every Monday and Thursday. Neville and Shel set the standard for all podcasters and serve as an inspiration for our new podcast Messing About In Ships. Shel and Neville do a great job in producing a show that brings up interesting discussions around new media with concrete case studies that go beyond the PR world. This podcast is also of inspiration for other podcasters on how to successfully engage in conversations with their audience. No surprise as it's coming from two professionals in public relations. Bravi! I have to be careful when I listen to Neville and Shel - sometimes I'm so busy writing down notes from the show, I can't get any work done. Always informative. Thanks! Shel and Neville provide a lot of good information on using social media for business communications. These guys wrote the book on podcasting ("How to Do Anything With Podcasting") which is a "must" for anyone interested in casting their own pod. Besides, they're a very entertaining pair to listen to. Check it out. I cannot say that I listen to every episode because of my own time constraints, but I do dip in occasionally to see what's going on with public relations and technology. Always hefty and good. R U Listening? As a communications manager for an engineering firm, I depend on FIR to keep me in tune with the latest issues and developments in communication practices and technology. I enjoy Neville and Shel's conversational approach to podcasting and revel in some of their special guests, especially Lee Hopkins. These guys have been around and have been breaking ground for years. They keep doing it, week after week of quality material.